Lemon grass is native to India and has a number of medicinal properties. Its second national title of the Verbena, a Latin Cymbopogon citratus. It is a perennial tropical and subtropical plant which is used among other things as a spice. Herbalists and beauticians extremely like it because of its essential oil, but also other products such as tasty tea. Read on to learn how to grow lemon grass, how the real medicinal tea mixtures should be made and why they should be used for preventive purposes. What is lemon grass and what does it look like? Blue-green and smooth Verbena leaves consist of a closed and somewhat shorter hoods at the base of the leaf. For them we see the open blade elegantly bent top, which can be long up to 150 cm. Also, the blades of sharper leaves are collected and 120 cm. From it, when rubbed between the fingers, spread an aromatic citrus scent by which the lemongrass is recognizable for. The base of the plant is quite thickened because all the young leaves sprout from the protective cocoon of the youngest leaves. This creates a sort of ring of leaves that grow next to each other like layers of onion. Lemongrass has very interesting flowers, they grow in spikes, but they are quite rare. This plant is usually propagated by vegetative means, using the young shoots. It belongs to the family of grasses which still include: rye, wheat, oats, barley, rice and maize. Blade of grass is actually a whole stem from growing flowers and leaves. Lemon grass is naturally pollinated with the help of the wind, mostly prevails in India, Indonesia and other countries in Southeast Asia. Lemon grass is sown from January to early March in the ground to germinate. The seeds are covered with a thin layer of high-quality compost, put it in a plastic bag or covered by transparent plastic. Leaving in the warm, but certainly not in direct sunlight. It will germinate at a temperature of 20 to 25 degrees. It is good when the soil is slightly wetter, but may not be all wet. Seeds of lemon grass sprouts after 20 to 40 days. When the seedlings are large enough, transplant into the appropriate pots, and later in larger ones. They are kept in the sun, with occasional control to maintain soil moisture. Lemon grass requires a lot of moisture, heat and sunlight. In winter, it needs to be moved into fresh, but not too cold place, then you reduce the intensity of watering. Verbena is propagated by seed and by dividing the roots. Lemon grass is used as a spice, an independent tea, but is also used to improve the taste of other famous tea blends, because it gives them a distinctive citrus-lemon smell and taste. Many are used in Indian cuisine, but it is found in the menus and other Asian countries. Verbena was widely used in Vietnam and Indonesia, and lately is wanted on the European continent. It serves as an addition to many soft drinks, cakes and price in the cosmetic industry. Lemon grass oil, refers to the composition of soaps and bubble baths. Gives it outstanding citrus flavour. What parts of the plant have healing properties? Blades of grass are also the most medicinal parts and are very appreciated in Phytotherapy. The best results were achieved with essential oils. Besides having a pleasant smell, it is very applicable in aroma-cosmetics. Oil of lemongrass shows high antimicrobial and antifungal effects, so it is recommended in the care of impure and oily skin susceptible to acne. This powerful plant will give your immune system a much-needed strength and energy to make it easier to cope with the seasonal viruses and infections. If you are troubled by a fever, it will successfully lower and you will not be bedridden. Lemon grass is recommended to nursing mothers because the milk strengthens their babies immunity. Also medicinal tea can be drunk by children. The plant Verbena relieves fatigue, malaise and appetite returns, therefore favours the convalescents. It is even recommended by people with serious illness, recovering from the effects of chemotherapy. It is recommended that essential oils of lemongrass, tea or natural juice, which is made with chopped herbs. The general recommendation is to drink at least a litre and a half of juice during the day. The dangers to health from the harmful LDL cholesterol, we wrote several times. In fact, it is the main trigger for serious cardiovascular disease, causes high blood pressure and increases the chances of heart attack and stroke. Physical activity, a balanced diet will keep LDL and increase triglycerides within normal limits. Also, lemon grass can be very helpful. This was confirmed by the research of Brazilian scientists, conducted in 2011. In fact, they were given lemon grass during a three-week test in the form of essential oils and the results were stunning. Without any side effects and adverse effects cholesterol in the blood of small rodents was successfully lowered down. Lemon grass is a good diuretic, it effectively cleanses the body of precipitated materials and harmful toxins in a natural way. I has a preventive work on the urinary tract infections and eliminates problems with digestion. Verbena regulates the work of the pancreas and liver and does not cause any complications. You are under stress most of the day, always in a hurry, poor sleep - you definitely need lemongrass tea. Prepare it whenever you can, works great with depressive states, many years of fatigue, calms nerves and facilitates sleep. Drink it warm. In addition to successfully treating inflammation and strengthens the immune system, lemon grass alleviates various problems with the joints, tendons and muscles. It is beneficial against all types of spasms, and even those stomach ones. Verbena is popularly known as the plant that stops bleeding, such as powerful shepherd’s purse. It works by narrowing blood vessels, and thus reduces swelling of blood. It is understood, that with major injuries and any other bleeding be sure to go to the infirmary. And this is particularly connected to the hands and feet, encourages better circulation in the extremities and increases muscle tone. Lemon grass can be used as an oil and as an air freshener, as a powerful natural substance for inhalation. It is a frequent component of oil and sparkling scented baths, lotions and soaps. On this occasion we have selected a number of excellent natural recipes. This tea has many medicinal properties: soothes nerves and relieves tension, eases cold and arthritic pain, accelerates metabolism, and improves digestion. Always prepare a hot drink of freshly picked herbs, because it has a much stronger effect. First, cut the stems on smaller pieces, place in cold water and heat until it boils. After that, leave aside to rest for top of 20 minutes. Strain it and drink while still warm. If you add to your drink and a bit of mint, you can get even more delicious tea of ​​lemon grass that refreshes and invigorates the body. You can cool it down in the fridge when it is great for the warm summer months. Lemon grass can be cut to length, and then placed in the water to boil, at the same time insert chopped ginger. After 5 minutes, remove from the stove and add bags of green tea. Let them cool down for 5 minutes, and then stir in between. When it completely cools, pour in a suitable container and leave in the fridge. The resultant summer drink is served with ice cubes, slices of orange, lemon and lemon grass stalks. Lemon grass is used a lot in kitchens around the world, and we usually associate it with some exotic Thai dishes, which are very spicy. One pinch of powder will make your meal exceptional. If you are a creative chef, feel free to add it and in your experiments. We tried it in several varieties and were never disappointed. To begin, it is enough to put a little powder in the soup. Lemongrass is widely used in cosmetics, in addition to removing pimples, acne and wrinkles, solves a number of other cosmetic skin problems. Because it contains remarkable amounts of valuable antioxidants, lemon grass is now very appreciated. Postpones the first signs of aging, especially in the appearance of wrinkles on the face. Antioxidants are the best fighters against free radicals, which are very harmful. Also, Verbena has proven effective in removing dandruff, helps faster hair growth, keeps it and gives it the necessary shine. 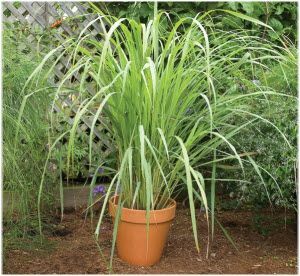 This plant is an excellent repellent, namely lemon grass against mosquitos has proven to be very effective. It repels almost all insects.